I’ve heard it said, and repeat it often, “If you want to find a needle in a haystack… send in a horse. 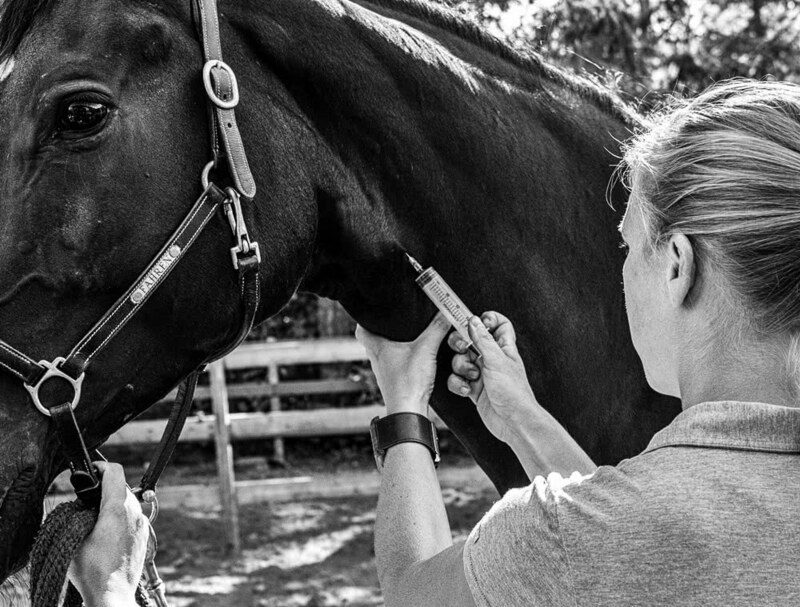 Not only will it find the needle, but it will come out of the haystack with the needle sticking out of its eye!” Despite our diligent care, horses seem to get themselves into trouble. We provide emergency veterinary service 24 hours a day, 7 days a week for our regular clients. Emergencies include colic, choke, lacerations, traumatic injuries, eye injuries, severe infections, foaling difficulties, etc. If you have an emergency, please call (250) 588-9438. If you reach the voicemail, state clearly that you have an emergency, and a veterinarian will call you back within 15 minutes. Do not email or text. Emails and texts are not checked after regular business hours. Don’t know if it’s an emergency? Or what to do before or after you call? Please see our Client Education Section.